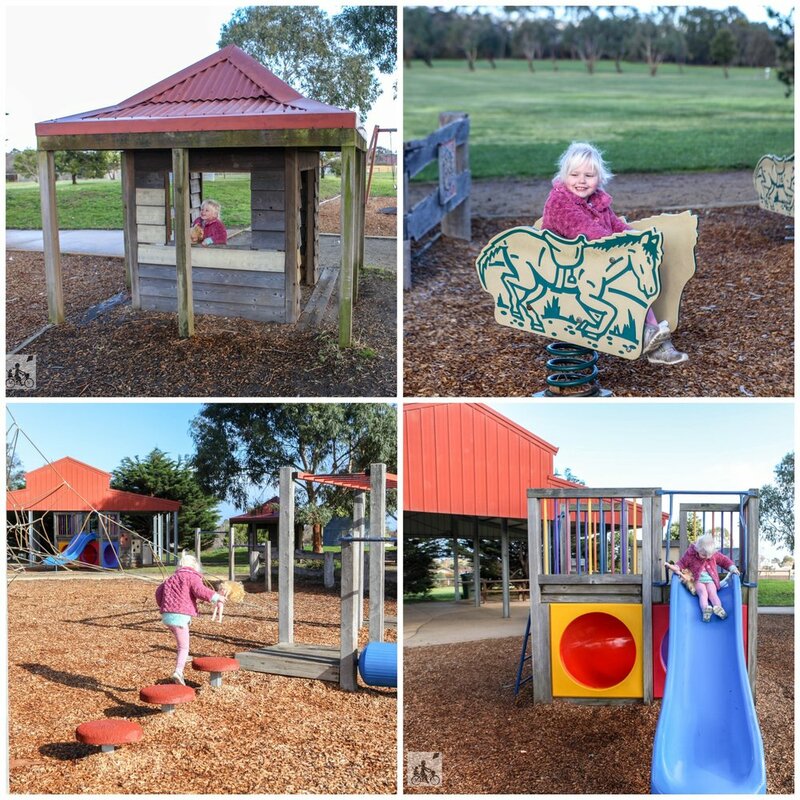 The play equipment is super cute, with a large tractor, cubby house, tunnels, horse rockers, see-saw, pyramid climbing frame, swings, monkey bars and more! There is SO much wide-open space here, perfect for a game of cricket and a family picnic. 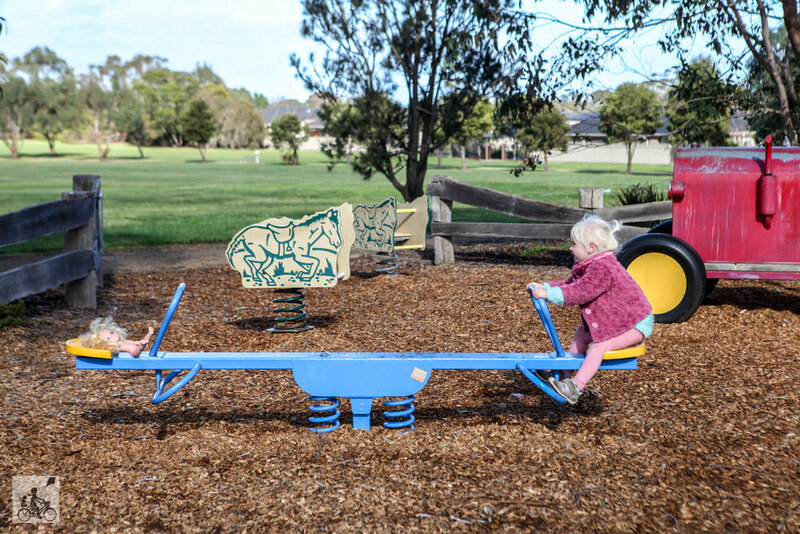 You can even bring your canine family members and let them run loose in the fenced dog obstacle area! Hungry? Head around the corner to the delicious Mornington Hyrdoponic Cafe.